Finished this novella yesterday. I have to admit - this was first fantasy I ever read. I was trying to find some information on-line, but it is so difficult when the book I read was in Latvian (that mean that title may be translated inappropriate). First I fond info in wikipedia. As title was in Latvian, I tried to figure out what it would be if translated in English, and what is it's original title in Russian. I googled name of authors together with some character names of the novella. 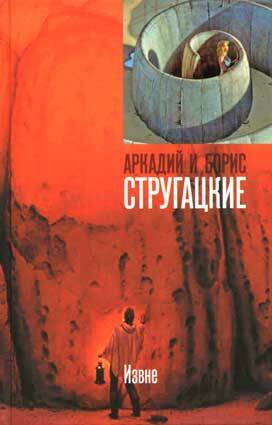 And found that Title in Russian is Извне and in English it is From Beyond. It is always pretty close translated to English, but when it becomes to Latvian... I still do not understand how Perfect Timing can be translated to Spoonful Of Love? First the story was published in 1958 in magazine. Story consists of three parts and three eyewitnesses of unusual events. they witnessed how space aliens visits Earth and their strange behaviour. archaeologist Lozovsky manages to get on Space ship board and he describes his observations there. there are no victims as Space aliens obviously is friendly (as Lozovsky describes). I have two more stories in this book written by brothers Strugatsky - "Roadside Picnic" and "Space Mowgli"
Hope I will read much more faster and will be not lazy on posting what I have read. somebody is reading this , but me?